As we left Part 2 (which you can read here) Brian was facing a difficult time at Leeds. 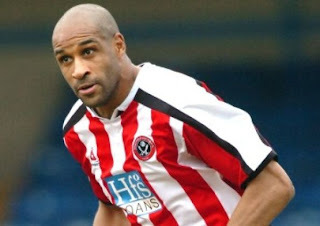 In the end he was at Leeds for one more season before a return to the Blades. 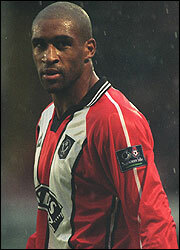 The Summer of 1997, was it a surprise to find yourself back at Bramall Lane? Yes and No. I came to the end of my contract at Leeds. I bought into what I was being told by the Chief Executive at the time (Charles Green) as to what they wanted to achieve at Sheffield United. I was really up for it. They even offered me a two year contract and I said, “Look, I’ll sign a one year contract and we will review it”. I had been in the Premier League with Leeds on Premier League wages, although nothing like what they are today. It was a contract where I thought that if we aren’t promoted it is going to be hard for the club to be able to afford it in this division. At the time I was thinking that I really want to be here and if you’re telling me that we are going to build a team that is capable of going up and then competing in the Premier League, then I’m in for that. I’d seen Paul Merson go up to Middlesbrough, he was still at the peak of his powers, so they obviously had a plan and I wanted to do the same at United. 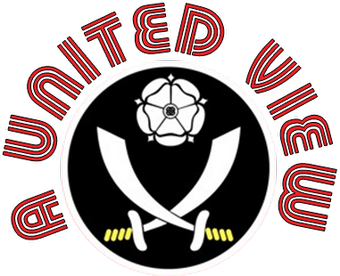 Sheffield United is that big a club, I think that Sheffield United deserves to be up there amongst the top of the top, as one of the best twenty clubs in the country in the right circumstances. I saw an opportunity for me to be right in the middle of that. I think the fans were led to believe it was going down that route at the time as well. Did the adulation received on your return make up for the abuse you got from an idiotic minority when you returned with Leeds? I never really took any of that stick seriously. If you leave a club maybe the ones that are most disappointed are the ones that didn’t want you to leave in the first place. I have to take that on board, I enjoyed coming back and scoring – I know that! It was only because I think I had that kind of relationship with the fans. If I had come back and not performed then they would have been fully justified in thinking he can’t do it anymore. I thought whenever I am coming back I want them to know that I am still the same person they used to cheer and support. It was a turbulent time in the club's history, things going incredibly well on the pitch then, out of the blue, you and Jan Aage Fjortoft left on the same day? 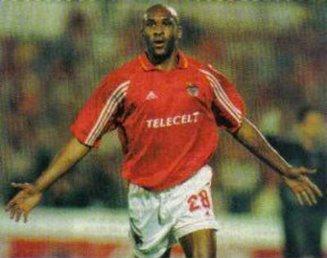 How did the Benfica move come about? It came about quite suddenly. I had always wanted to play abroad and in my previous spell at United, whilst Harry was the manager, I had been told of overseas interest. One day Harry had called me into his office and told me of interest from Marseilles. At that time it was quite a big thing. Chris Waddle had been there and a few English players had been abroad and I thought if I could define my career with a successful spell abroad it would help set me aside from many other players. I was keen to do that and I backed myself that if I could get to the right club I could do well. I had spoken to Feyenoord in the summer when I had left Leeds and also at some stage I had spoken to Fenerbahce, but at the time I chose to return to Sheffield. There is a lot about leaving United that I still cannot get to the bottom of. There are some things that I am still in the dark about. When I heard that I had wanted to leave, I wondered where that came from. I never said that. Well if you are in the dark, the fans have got no chance. When Benfica showed an interest I honestly didn’t appreciate how big a club they were. I obviously knew about the European Cup final against Manchester United, but it was only when I went over there I really appreciated it. 70,000 fans at home games and huge travelling support to the extent that they outnumbered the home fans at some grounds. I’d tested myself against some of the best defenders in the country back in England; Bould, Adams, Keown, Pallister, now it was time for a new and exciting experience. What would you take away from your time in Portugal and would you recommend it to any ambitious footballer? There were positives and negatives. Lots of things went on at the club which were a mystery; at times we didn’t get paid, the president at the time - by all accounts - is in trouble with the Portuguese authorities at the moment. At times it all felt a bit unsavoury. I’d still recommend going abroad though. I think that is why we don’t so well in international football, because we haven’t got any players who want to go abroad and sample something different. I think probably your most prolific spell after that was at Leicester was that due to being back with Harry and the fact that he knew how to play to your strengths? Possibly, but it was more to do with the whole atmosphere around the club. It was a great place to be. The changing room was perhaps the best I’ve been in, in terms of that togetherness. Sheffield United was a different stage in my life but very similar. At United we were the underdogs and that unified us, but at Leicester we had the problems with going into administration and we had to pull together. We became very tight as a unit, in the same ways as we did at Sheffield United. There were some characters in there, we had a right laugh; Frank Sinclair, Ian Walker, Andrew Impey, Gerry Taggart. All are good, down to earth lads; funny lads. A final spell at United followed a brief time at Perth in the A League. Obviously you had been hit with injuries, did you see this as a swansong at the time or were you hopeful of prolonging your career further? I knew I was coming to the end of my career, I’d had a few injuries and I had already kind of retired when I came back. I was visiting Bramall Lane as a guest on the pitch and Kevin McCabe had seen me. He got in touch with Mick Rooker and asked him to find out if I was interested in coming back to play. Of course I wanted to, but it wasn’t up to me to decide that. I met with Neil Warnock, we had a chat and he explained that he thought I’d be good to have around the changing rooms and help us get over the line. I jumped at the chance. I met some good pros and good people – Rob Kozluk’s a very funny bloke and Nick Montgomery is a very emotional character. Everything means a lot to him. There are very few people I have seen as upset as Nick is at losing. He really does wear his heart on his sleeve. A nice way to finish though, with Blades fans singing your name for a third time? It was. By then I was 38 and when I came back from Australia Mick Rooker said to me “you can’t go out like that, Brian.” It didn‘t work out for me in Australia because the players were not of a standard that I needed. I didn’t have a support network and the players were not good enough to get the best out of me at that stage of my career. They needed a Brian Deane aged 30. I needed more intelligent players who would be doing the running. I remember playing for Leicester versus Coventry and Gary McAllister played himself in a 5 man midfield and they were all like little satellites buzzing around him. In Australia I needed the ball put into the box where I could try and use my nous. We didn’t play that way. I took a bit of stick out there and I could have responded, but I took it for what it is and came back. I played in a reserve game for United v Stoke and got a hat trick which showed what I could do. Realistically, out there, I was in a no win situation and the best thing for me to do was leave. I am grateful to United for allowing me to bow out on the back of the club getting promotion to the Premier League. Just being part of it, even if it was on the outside, it was nice to be there. I was trying so hard. I had come off the bench against Brighton and nearly scored, then in the final game against Palace I came on and Danny Webber could have played me in, but didn’t. I was like, “Aaahh!” That’s life; it wasn’t meant to be. It would have been nice to have signed off with a goal, but it didn’t happen. Why did you set up the International Academy for Football & Education? Was it based on your experiences a youngster, where you kept up your studies whilst at Doncaster? Yes but there have been a few things. My own experience of trying to get into an academy left me feeling undermined. I had gone down and asked the director if I could do coaching whilst working towards my UEFA B licence. I was encouraged to do my bit with the lads and then one of the coaches said we were doing different things and I was frustrated, I knew that I had permission to do what I was doing. There was no point arguing about it, I realised that I would have to find another way to do it. I got involved with Leeds University. Three years ago we had best team in country we won the BUCS Premier trophy. One of the players, David Syers, finished his degree, went down to Bradford City, scored ten goals and won Players’ Player of the Year in his first season. I do believe that there are boys out there who are still developing between the ages of 18-21 and who can go back into the pro game. The clubs don’t have the time and money to keep coaching them so it is an idea to get a qualification behind them whilst pursuing their dreams of playing football. If they make it, they have a career and a qualification. If they don’t make it they have a qualification they can use. It is not easy, but it is very rewarding. Especially if you have got both sides of it like Dave Syers has. It is not like being at a club, I’d love to be at a club but that has not happened to me yet. I’m doing my apprenticeship as such and I am enjoying doing what I am doing. Setting up games against other universities or football clubs, I get an insight into being a manager and a coach. I can be a little bit fiery – I have standards. Sometimes kids don’t understand what it takes to make it all the way and that is my frustration. I try and be a mentor/guardian and give them the best advice and they can’t always see it. Having said all that, I absolutely love it! On that positive note our conversation ends. At a time with EPPP and academies very much in focus it is great to hear how Brian is ensuring that late developers released by clubs get a second chance, or at the very least have a great chance of forging a different career with qualifications behind them. Once again I would like to thank Brian for taking time out of his extremely busy schedule to speak with me. Again, I hope you enjoy reading it as much as I enjoyed putting it together. Thanks. Good read that. Deano always did seem like a nice fella.